then cut the pieces to fit perfectly (or not so perfectly, depending upon whose point of view we are entertaining here) into place. And, VOILA! 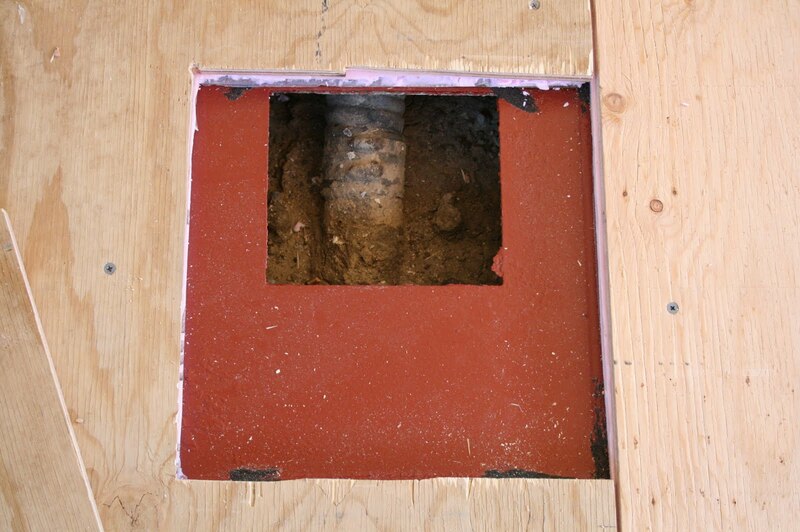 We have a piece of insulation, perfectly fitted where once there was only a challenge of figuring out a way to insulate a small area. I know….I am way too excited over something that is so mundane for most, but you still love me, right? 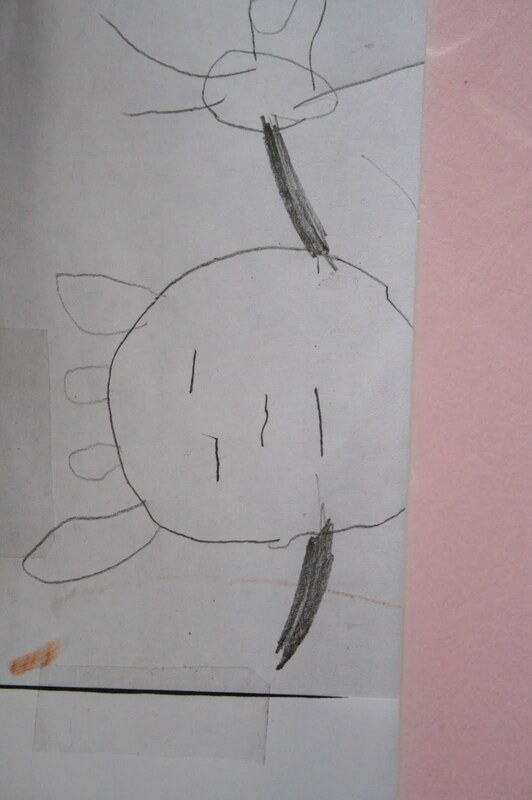 More of the Happy Creatures scrap paper…notice the legs are missing, but he still looks HAPPY! 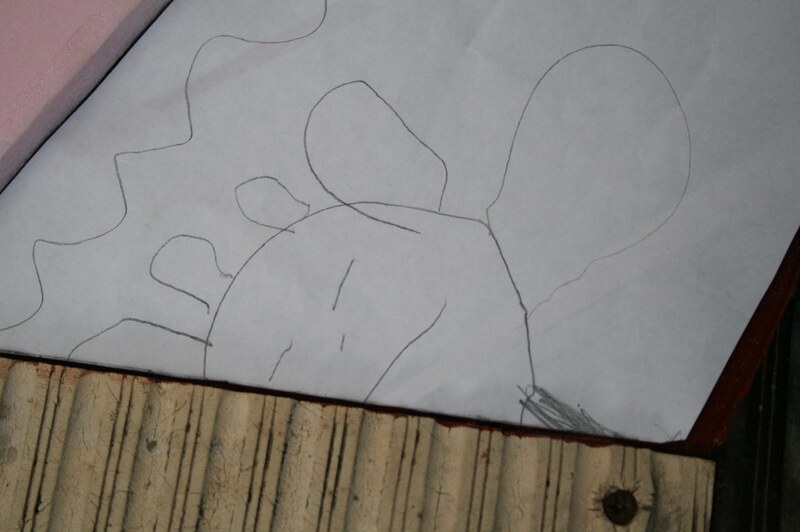 I hate the fact that sometimes my blogger doesn’t pull in my pictures the way that they are supposed to…but this little guy was one of my favorites…he was sleeping when Ryan drew him. Do you like the ears on top? Me too! Despite being fascinated and distracted by all of the Happy Creatures, I finally got the insulation completed. Around this time, Mr. C got done with his daily work (Job #2) and I begged him to come out and play in the bus with me…..he just glared at me….he isn’t as crazy as I am about working on projects and so I just have to ignore the rolling of eyes and heavy sighs when I ask him to help me sometimes. Hey! You can’t have everything, right? He helps, because that is what good men do, appease us silly women by helping us follow our crazy dreams of building an RV out of a hunk of metal and a ton of LOVE. Or maybe it is just me that has a good man doing this for her…anyways, not to be distracted…again….must move forward…. 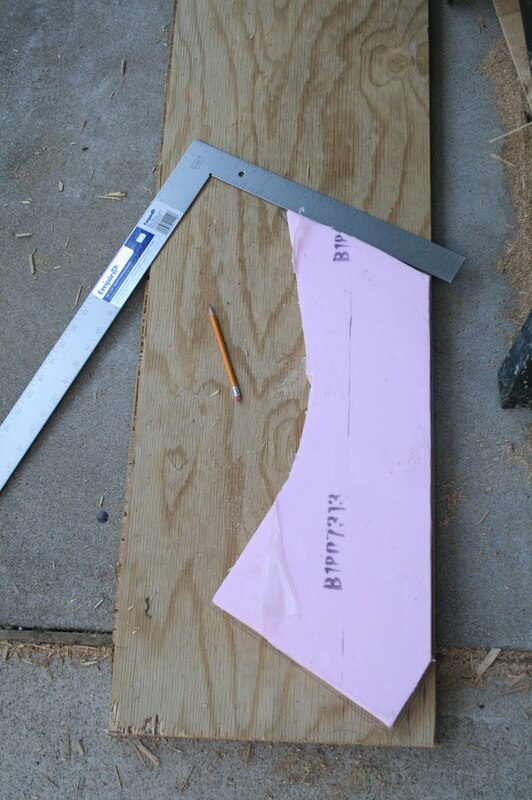 This is the plywood we decided to use. 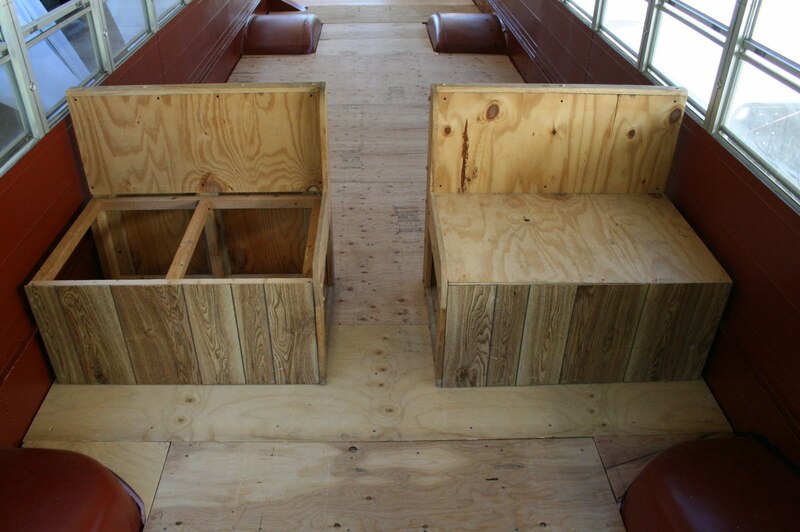 We were told by many others who had done skoolies, not to use anything less than 5/8 inch plywood, not to use OSB or particle board, and to make sure we took out the old rubber school bus floors and checked for rotting plywood. 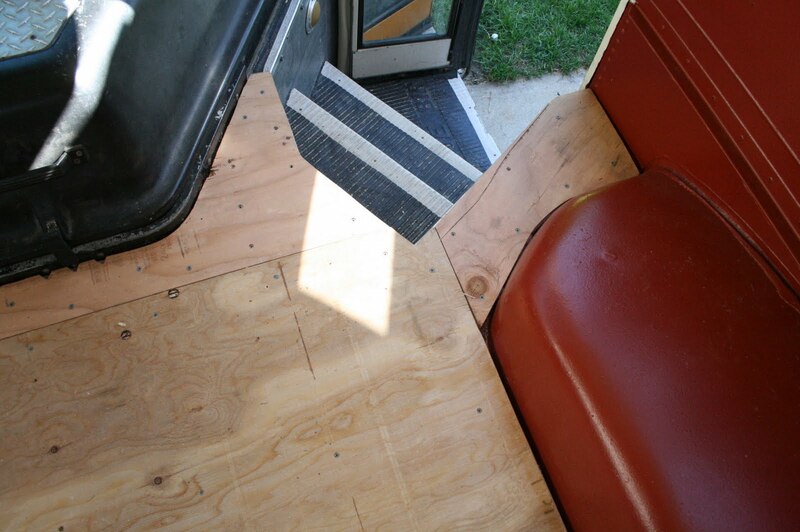 Well, our bus had no plywood under the rubber flooring. 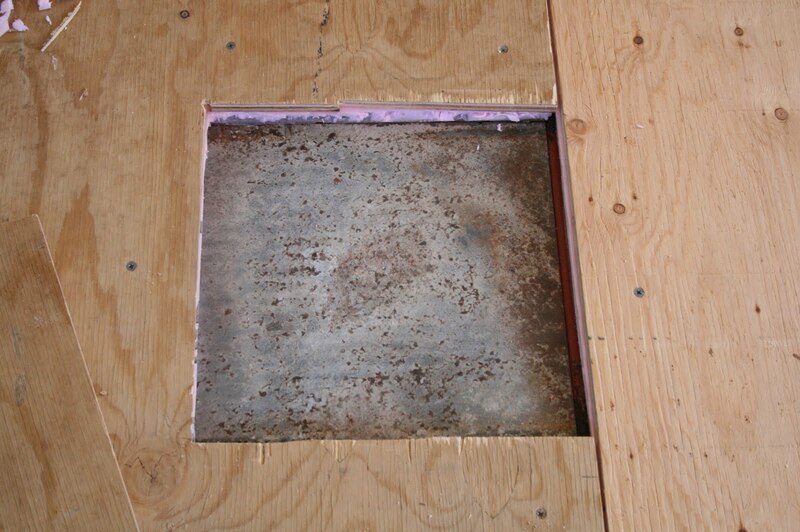 In some ways it made it easier to remove the flooring, but it would have been nice to have had that extra 1/2 inch of space to build back up. 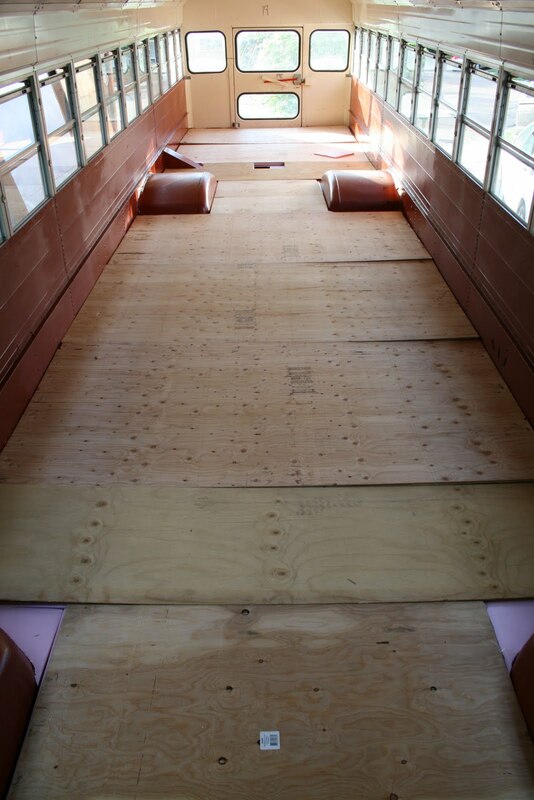 As it is, our clearance began at 6’3″ and is diminishing every time I add another layer to the floor (luckily Mr. C isn’t over 6′ 1″ tall, although he did mention his sadness over not being able to do ninja moves while inside the RV…can’t win them all). 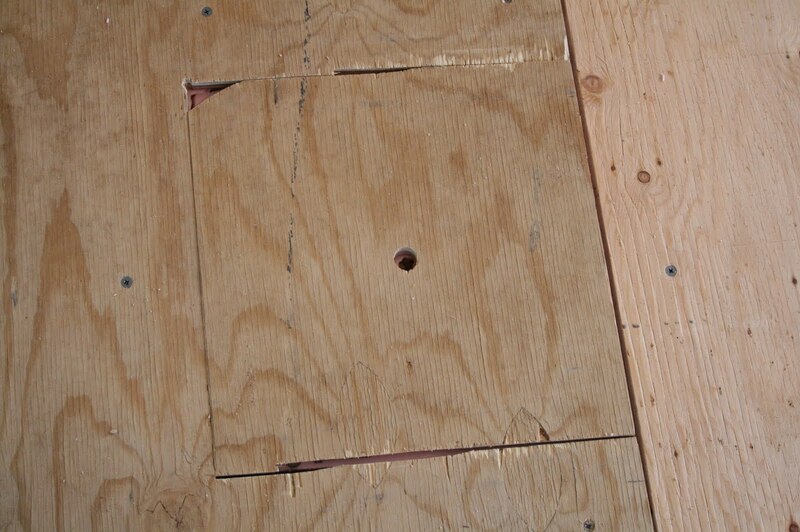 Notice the layers of wood, this is what makes this plywood a lot stronger than the other types. 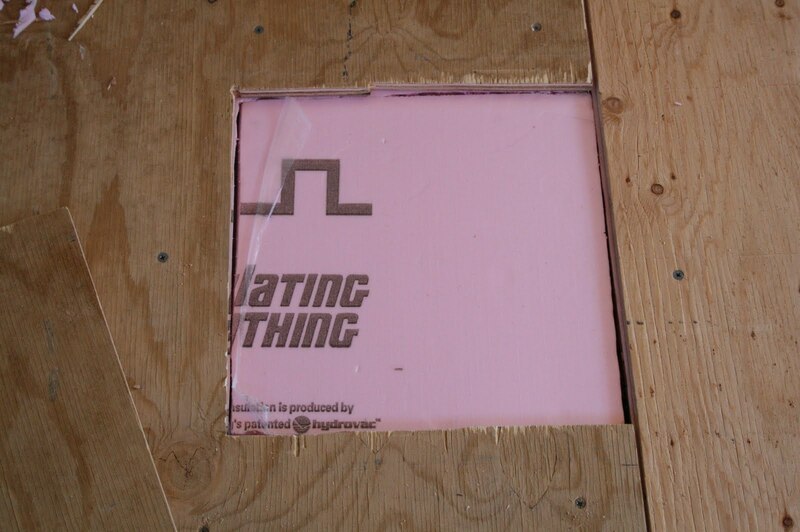 And, since our sub-flooring is going to be holding all of our permanent fixtures and appliances in place, we feel it is pretty important to make sure it is worthy of doing this job (now getting off of the ADD plywood soap box…wow, are you still reading this post?). There are only a few things that turn me on more than seeing a man working with power tools……..and I am not going to share those on here. 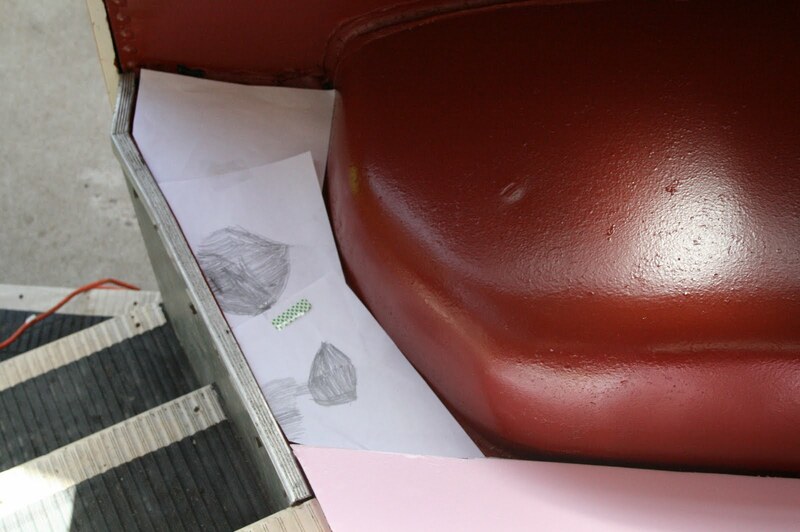 I am just going to state that we may have ended up with a dozen kids by now, had Mr. C liked using tools and working on projects….I’m just saying. 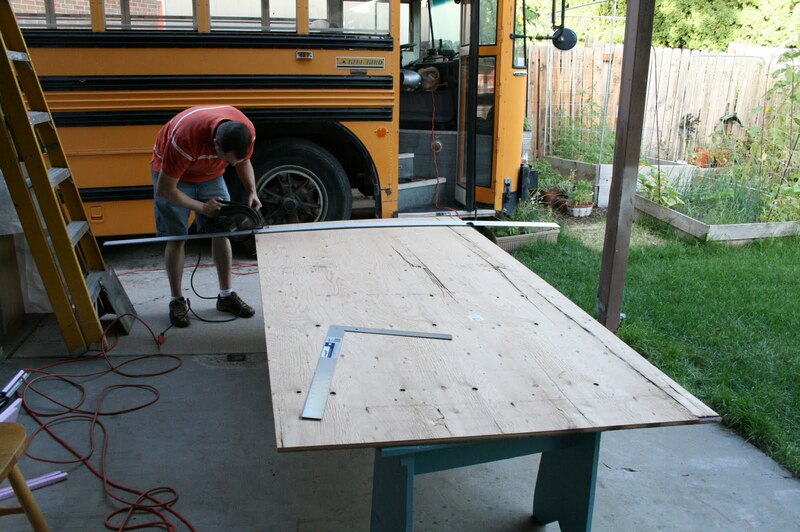 The next day, after we finished up school, I got back to work on getting the plywood completed. 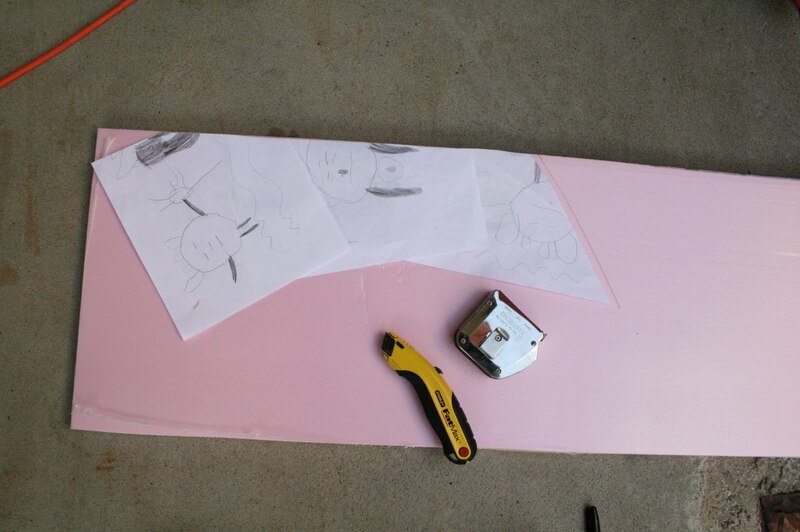 I used the insulation to make templates for the plywood, then cut them out with my jigsaw. 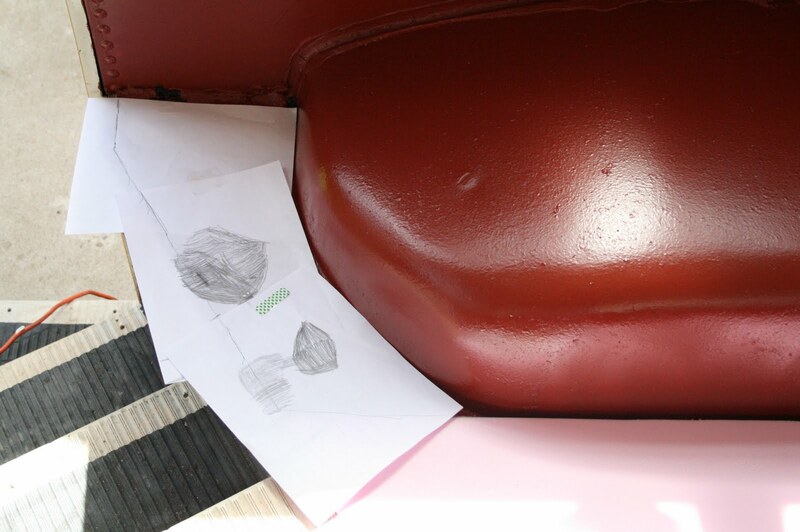 It was delightful to have Ethan and Jamin helping me…they got a little glimpse into the mind of their crazy mom and the way I figure out solutions to my problems. That is one of the main reasons that I enjoy homeschooling so much. I enjoy having them there with me through a lot of my discoveries…learning together. I got most of the wood screwed down, despite the fact that the drill bit I was told to use by the hardware store associates was the wrong size….yeah, Mr. C told me this when I finally begged him to help me out with securing the plywood on the 3rd day. It had been harder than I thought it would be. Pre-drilling through steel and some nice plywood deserves the proper sized drill bit, for sure! 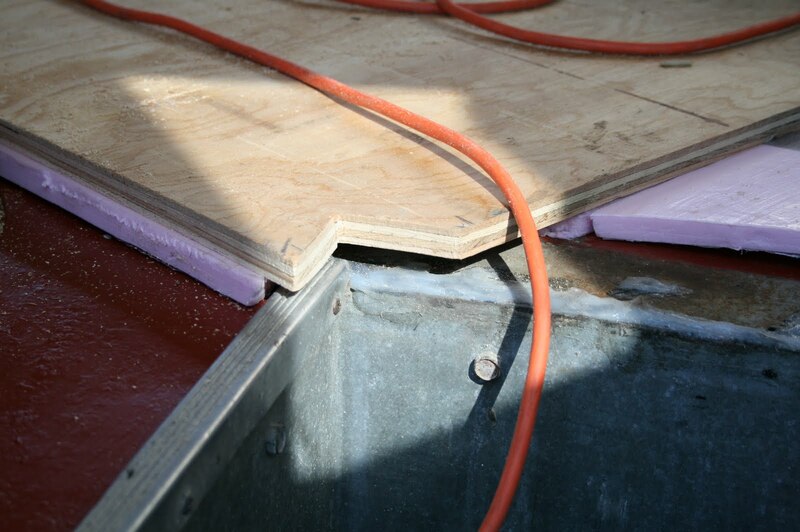 This is the fuel tank access…just in case you ever need to…um….change out your fuel tank? 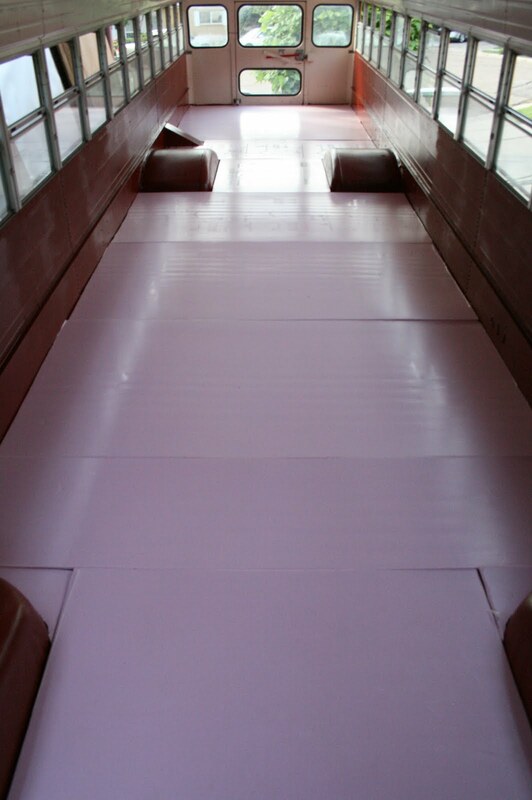 We decided to keep it accessible under the flooring, despite the fact that its existence wasn’t even made known when the bus had rubber flooring covering it. 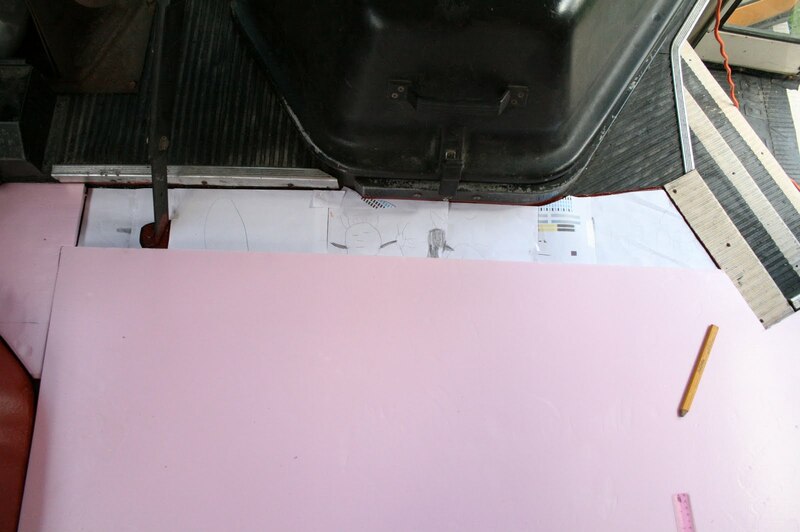 I cut the insulation to fit over the panel. 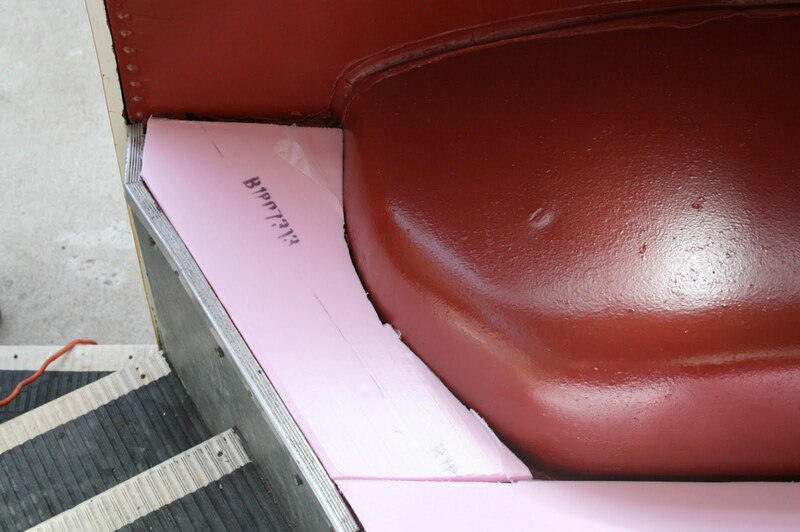 I had Mr. C cut the hole out of the piece of plywood for the cover. I screwed that cover down into the floor…and if I ever need to change out our fuel tank, I will now have a much easier time of doing it. Um….yeah.